Thanks for all the kind comments. Ya will provide update when ARO grow bigger and hopefully cross 6-level. Hoping for other bros to share their rose gold/TY ARO too. It's been awhile since I last updated on my rose gold. Please see latest update. It's about 18 inch, diet is 100% mp. Comments are welcome. 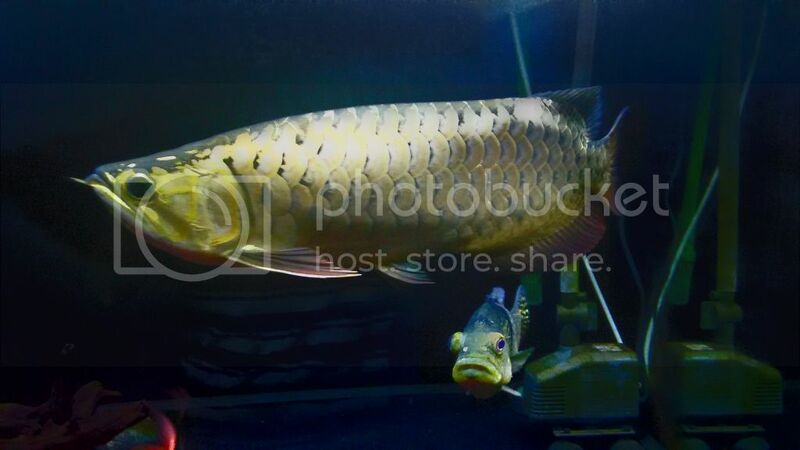 Love the golden tone of this arowana.